Installation failed with message Failed to finalize session : INSTALL_FAILED_USER_RESTRICTED: Install canceled by user. Turn On "Install via USB"
MTP(Media Transfer Protocol) is the default mode. The device is temporarily restricted error appears in MIUI 8.5. To resolve the error you need to make WIFI off and make mobile data on and then enable the option “Install via USB”. it will work for you. In your mobile device,make sure you have enabled the following buttons. Turn on Install via USB. Note : This is checked on Redmi MIUI Global 8.5 version. This solution will specifically solve the issue if you have recently logged out of Mi account & again logged in. Turn off "MIUI optimization" & Restart it. 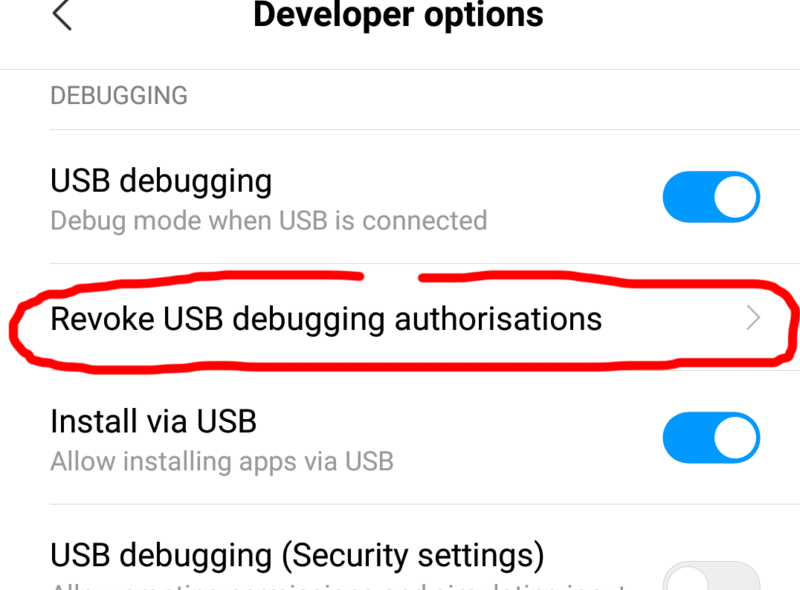 Make sure USB Debugging is ON & Install via USB is enabled. 1. Become a developer: Settings >> About phone >> MIUI version tap 7 times. 2. 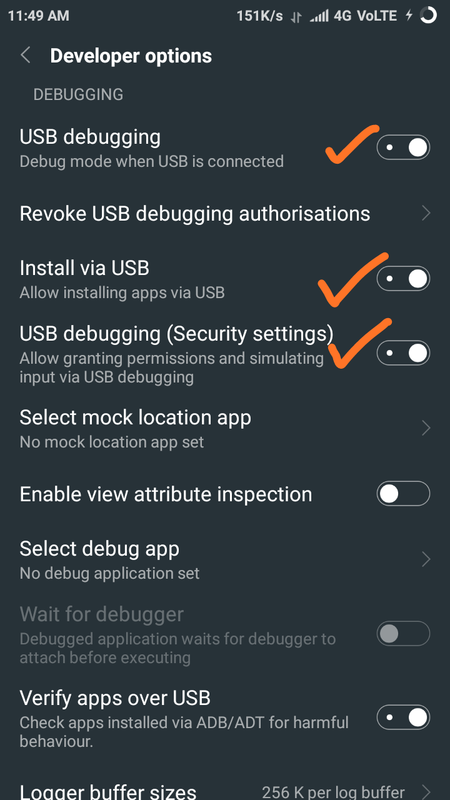 Again Settings >> Additional settings >> Developer options (turn on) >> USB debugging (turn on) >> Install via USB (turn on). 3. You will be asked for permission through your MI account. Confirm permission. 4. 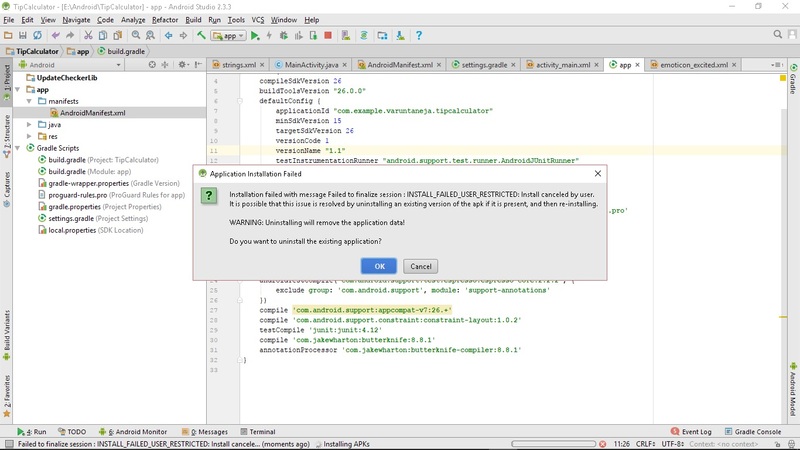 Note: During the installation of the application, your device will give you 7 seconds to confirm the installation. Don't miss it! In my case, I pressed Deny unfortunately during first time installation. 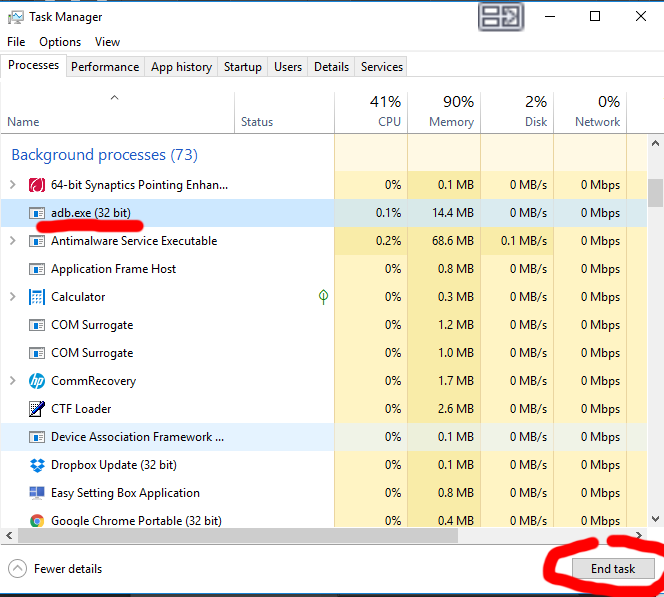 So I was getting INSTALL_FAILED_USER_RESTRICTED. You can get modify this permission for app under permissions. You should have enabled below options too. The same trouble with the same device has been here. Scroll down to "Feature Settings" group, and look for "Permissions"
At there switch off "Install via USB" option, which manages the installation of the apps via USB and doesn't allow it. Turn off "Turn on MIUI optimization"
These Settings worked for me.Cheers! 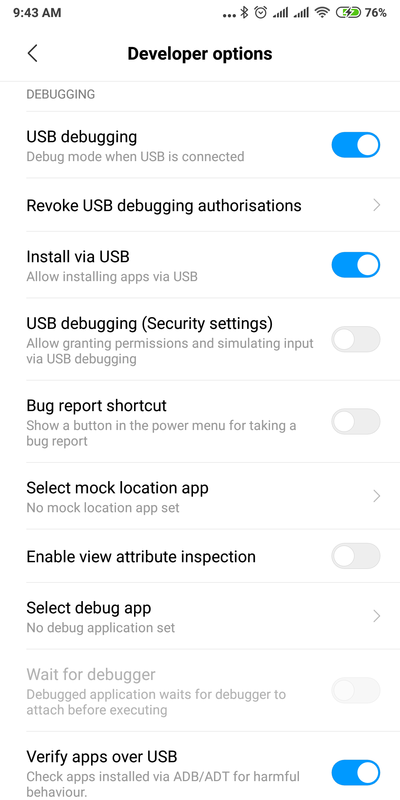 goto Settings -> Additional Settings -> Developer options -> Revoke USB Debugging Authorizations. For me only installing from Google drive worked.